Most of us are used to getting a blood test at least once a year to help provide our doctors with a snapshot of our general health, and to alert them to possible health problems. Some of these tests are quite familiar to us, for example our cholesterol levels, including both HDL, LDL, and triglyceride levels. These tests are indicators of cardiovascular health, a well-known health concern. However, the other numbers on the lab results are also useful to understand. One such test is a measurement of the level of neutrophils in our blood. Neutrophils are a type of white blood cell which is required to heal damaged tissue and fight infection. These blood cells are extremely important for maintaining proper health; they are cells produced in the bone marrow, and account for approximately 65% of the white blood cells in our bloodstream. When an individual has an infection or an inflammatory condition, the body sends a chemical signal to alert neutrophils to leave the bone marrow, and travel through the bloodstream to the that location. 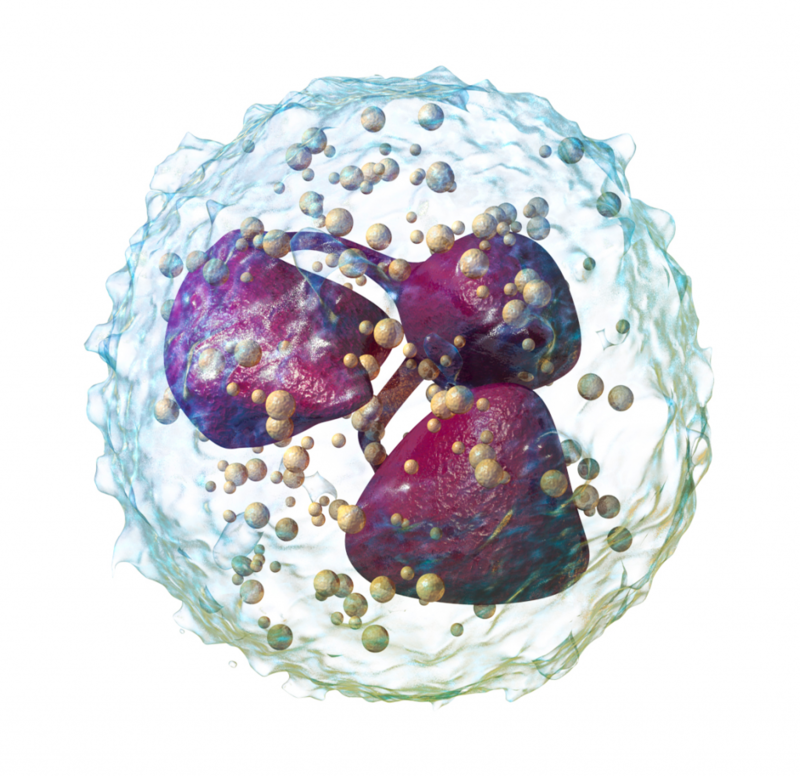 A complete list of possible causes of a high neutrophil level is beyond the scope of this article, but the five causes mentioned above are the most common. Again, there are many other reasons for low neutrophil levels, but these are the most common. A neutrophil level which is only slightly out of the normal range is typically nothing to worry about, but an extremely high or low level is usually a sign of an underlying, serious health problem, requiring immediate follow-up.